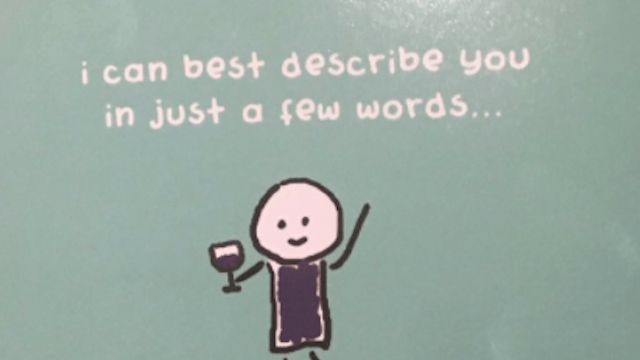 This saucy grandma accidently sent her grandson a really inappropriate birthday card. Grandmas are so sweet, aren't they? From knitting sweaters to force feeding you way too much food, most grandmothers just love to shower their grandkids in love and carbohydrates. They are also infamous for giving gifts just as sweet as their home baked goods, so when painter Henry Fraser received a birthday card from his grandma that at first seemed complimentary, but at second glance was totally insulting, he was totally caught off guard. Let's just put it this way— it's even shadier than receiving an ugly, itchy sweater. It's the thought that counts, but is this what that grandma really thinks of her grandson?! Of course, Fraser's granny totally meant well by sending the card, and the mistake is as innocent as it is hilarious (we think). Fraser cultivated an internet following after uploading videos of himself painting with his mouth. Fraser was left paralyzed from the shoulders down after a diving accident in 2009. We are sure Henry's grandma is very proud of him. Couldn't Underestimate Noticeable Talent, after all!